To understand BMW’s EV future, you need to understand its 45-year past. It’s been more than a year since BMW’s chief executive announced that his company was making a wholesale shift to electric cars. Speaking in Munich in September 2017, CEO Harald Krueger told journalists, “By 2025, we will offer 25 electrified vehicles. Twelve will be fully electric.” A couple of months later, the company revealed that it had secured the naming rights for electric models across its entire vehicle lineup – from i1 to i9 for battery-powered passenger vehicles and from iX1 to iX9 for sports utility EVs of all sizes. Krueger put a fine point on BMW’s transformation into an EV leader by saying that the company’s EV models could offer a driving range of more than 400 miles. The BMW i4, due in 2021, could offer about 400 miles of range. The i4 is based on the BMW i Vision Dynamics Concept. The 2017 announcement about BMW’s ambitious electrification goals is hardly a case of newfound EV religion. If the company hits its targets by 2025, it will be the culmination of BMW’s research and development into electric cars that started nearly five decades ago in the late 1960s. 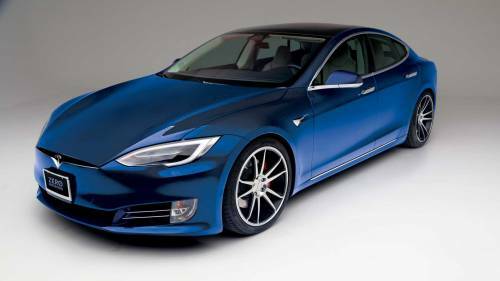 In one respect, the maker of the ultimate driving machine can be applauded for its diligence – taking one step after another across five generations of battery and electric powertrain technology to increase the driving range and performance of EVs. However, detractors see it instead as the Bavarian automaker repeatedly taking bold steps toward EVs with big promises and exciting concept models – only to make a hasty retreat to the combustion-based engineering that typifies its brand. BMW is already one of the world’s biggest makers and sellers of electric cars. It’s on track in 2018 to sell 140,000 plug-in electric cars globally and by the end of 2019 is expected to have put more than a half-million EVs on the world’s roadways. Its global sales of electric cars and plug-in hybrids are up more than 40 percent so far this year. Those battery-powered vehicles represent more than 5 percent of the company’s total sales volume. At the 1972 Olympics in Munich, two orange BMW 1602 cars were used to support the marathon competition. The runners didn’t need to worry about breathing in noxious emissions because the 1602 was turned into the 1602e when engineers removed the sedan’s combustion engine and gas tank, replacing it with a dozen standard 12-volt lead-acid batteries. It was BMW’s first electric car, complete with a basic brake-regen system. However, it lacked a charging capability so the tray of batteries – 700 pounds’ worth – in the engine bay needed to be swapped out with fresh ones after getting depleted. Development of the all-electric BMW 1602e started in 1969. BMW electric car battery technology, circa 1972. The 1602e was said to be capable of nearly 40 miles of range if driven steadily at about 30 miles per hour. But normal city driving meant less than 20 miles on a charge, not even enough to finish a marathon. BMW continued to work on EVs throughout the 1970s, revealing the LS Electric in 1975. As would become the pattern, it was one step forward and one step back. The LS used a new Bosch-supplied DC motor and a supposedly upgraded set of 10 lead-acid batteries. Alas, the LS Electric’s range and top speed were lower than its predecessor. A decade more of work resulted in an all-electric front-wheel-drive 3-Series converted from the all-wheel-drive conventional 325iX. The total of eight produced examples eventually wound up in the hands of German postal and government employees. The use of sodium-sulfur batteries pushed the driving range to an impressive 93 miles on a single charge. Not bad for the 1980s. The all-electric BMW 325iX Electric, developed between 1987 and 1990, reportedly achieved 93 miles on a single charge. Then came BMW’s first electric car built from the ground as an EV. The 1991 BMW E1 is often cited as the predecessor to the current i3. The E1, a city-oriented four-passenger EV, was capable of about 125 miles per charge. Like the i3 that would arrive two decades later, the E1’s body was built from exotic materials, which were aluminum and recycled plastic in the E1’s day. The next generation of the model was dubbed the E2 at the 1992 Los Angeles Auto Show. Despite positive buzz and construction of about 25 more vehicles built using 3-Series coupes in the 1990s, BMW stayed on the electric sidelines – and remained quiet even in the subsequent decade when GM made (and killed the EV1) and the Toyota Prius gas-electric became an international phenomenon. The 1991 BMW E1 was the company’s first purpose-built all-electric car. Then, in June 2009, BMW shook things up when it established a program to lease 450 MINI coupes converted to run on electricity. About 600 of the cars the electric MINIs were produced. Leaseholders in Los Angeles and the New York/New Jersey area paid $850 a month – including insurance, maintenance, and a home charger – to drive the MINI-E for a year. Most of those 450 guineas pigs, the first consumers to drive BMW-produced EVs, fell in love with the car despite sacrificing the entire trunk to make room for a 35 kilowatt-hour battery pack that delivered more than 100 miles of real-world range. Stating in 2009, BMW allowed hundreds of customers to lease the all-electric MINI-E. The MINI E, and the follow-up 1-Series rear-wheel-drive ActiveE , were decisive steps forward for what BMW called its Megacity Project – the creation of a quick and capable small electric car intended for the world’s crowded urban roadways. Those Megacity testing prototypes would become the foundation for Project i and the development of the i3, i8, and the BMW electric cars that continue to roll out today. Assembly of the high-voltage storage system for the BMW Active E in BMW’s Leipzig plant. The list of upcoming models includes the all-electric BMW iX3 crossover due in 2020. 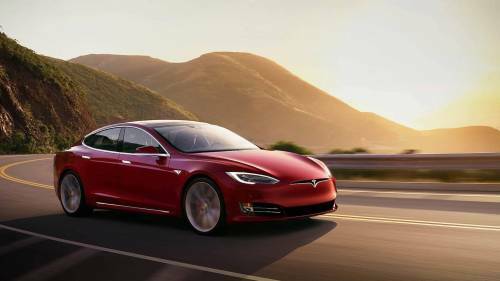 Its expected to get 250-plus miles on a single charge. The BMW i4 sedan planned for 2021 could offer about 400 miles of range. And the super-futuristic iNext, a platform for autonomous driving, could get an even bigger battery. The 2017 BMW i Vision Dynamics Concept (right) with the BMW iX3 concept (left), which was unveiled at the 2018 Beijing Motor Show. By circa 2010, BMW appeared ready to take a leadership role in electric cars. Its approach was not merely to make a practical and appealing electric car but to embody all the transformations needed for urban mobility in the 21st century. BMW engineers created something called LifeDrive, a lightweight body shell made from carbon fiber reinforced plastic. Manufacturing a new type of EV would take place in Leipzig, Germany using a preponderance of wind-derived energy. BMW’s LifeDrive carbon fiber platform. The unveiled design of the i3 compact – and the i8 plug-in hybrid supercar to a lesser extent – was iconoclastic. The i3’s visual lines seem inspired by Cubism. 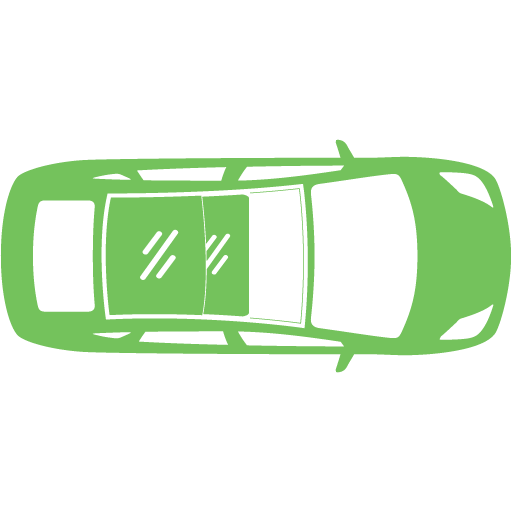 The car appears to lack a B-pillar as the front and rear doors overlap to form a structural pillar. It employs a barn door design for access to the back seats. Its sleek Bauhaus dashboard design used open-pore eucalyptus wood, hibiscus-like kenaf, and hemp – which critics suspected BMW was smoking when coming up with its over-the-top artsy, intellectual approach that undermined the brand’s sports car heritage. The problem went beyond aesthetics. The fancy materials added cost. By the time it got driven off the lot, the i3 commonly cost more than $50,000 – for a car that, when launched in 2013, only granted 81 miles on a charge. That was less range than BMW’s experimental models. The company tried to make up for the i3’s range deficiencies by using a tiny, loud 650cc backup gas-powered engine to extend its range another 80 or so miles until drivers could find a charge. Nonetheless, the i3 earned its share of fans, hitting a peak in sales in 2015, its second full year of sales in the US. In that year, BMW sold 11,024 i3s. Since then, sales declined to 7,625 and 6,276 cars in 2016 and 2017, respectively – even as the size of the battery increased to allow for 114 miles of range in 2017. 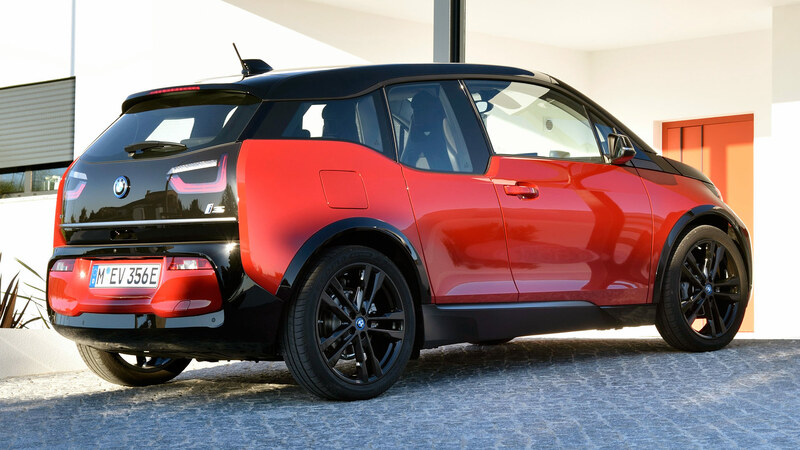 While the next i3 is expected to utilize a 42.2-kWh pack providing 150 miles of range, BMW executives admitted in April 2018 that the company might not invest in future, redesigned versions of the i3. The range-extending option was discontinued in Europe. Electric mobility will become standard. 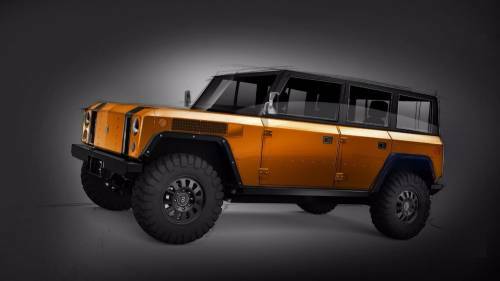 It will become normal,” said BMW design director Adrian van Hooydonk. So the BMW electric car will start to look more like the company’s other vehicles. And, if Robert Irlinger, head of BMW’s i division, gets his way, the range will also be similar. “The starting point for i3 in the early days was okay. But it seems that now, 300 kilometers (186 miles) is the minimum that you can offer to have an accepted range for customers.” He added that some customers want as much as 400 miles on a single charge. A new version of the MINI-E with about 200 miles of range is due in late 2019. That explains why the upcoming, new version of the MINI-E, due in late 2019, is expected to have at least 200 miles of range. It also sheds light on why the new plug-in hybrid powertrains coming soon to nearly every sedan and SUV in a BMW dealership showroom will have an all-electric range between about 30 and 50 miles before they resort to using gasoline. And it’s why the iX3 due in 2020 will get 250-plus miles on a single charge, while the 2021 i4 could push the range envelope to about 400 miles. BMW is talking about broadly rolling out EVs with three different battery choices: 60 kWh, 90 kWh, and a mammoth 120-kWh pack. The menu of BMW’s in-house electric motors could range from 100 kW (135 horsepower) to more than 300 kW (400 ponies). These variants would be installed on the same production lines producing combustion vehicles rather exclusively at special turbine-powered facilities. With more BMW EVs getting announced than anybody can reasonably keep track of, perhaps we are getting ahead of ourselves – as BMW is prone to do with its electric car ideas. EV fans might be cheering BMW’s plans for a big EV future, but the company’s bean counters are hitting the friction brakes. “If you want to win the race, you must be the most cost-competitive in the segment,” said Krueger. 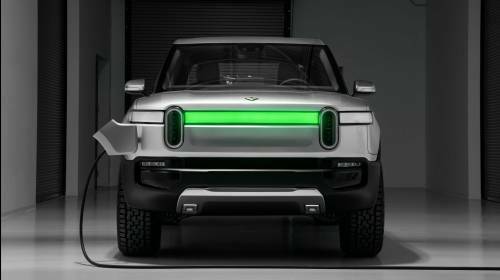 Klaus Frolich, the 58-year-old BMW board member in charge of development, in October 2018 said, “In EVs with 90- to 100-kWh battery packs, the cell cost alone will be $17,000 to $25,000. You can produce whole cars only with the cost of the battery.” Frolich cautioned that by 2030 only about 15 percent of BMW’s portfolio would likely be pure electric. BMW i Vision Dynamics and Harald Kruger, chairman of the board of management for BMW. And CEO Harald Kruger, the same leader who proclaimed a bright new day for BMW EVs in 2017 sounded less bullish on EVssix months later in March 2018. That’s when he said BMW could not scale up production with its current generation of battery-electric technology. “We want to wait for the fifth generation to be much more cost-competitive,’ said Krüger. “If you want to win the race, you must be the most cost-competitive in the segment.” Meanwhile, BMW is already working on the sixth-generation of its EV and battery technology. The company said it was investing about a couple hundred million dollars to better understand how to mass produce EVs – some day. 2017 BMW 3 Series Plug-in hybrid electric vehicles (PHEVs) have a battery and an electric motor. However, like gasoline vehicles, PHEVs also have a gasoline tank and an internal combustion engine (ICE). 2019 BMW i3 Battery electric vehicles (BEVs) have a battery instead of a gasoline tank, and an electric motor instead of an internal combustion engine (ICE). What Incentives Do I Qualify For By Buying An Electric Vehicle?